Are one of your homeschooled children preparing to enter college? Are you yourself a homeschooled student trying to find the best institutions for post-secondary education? 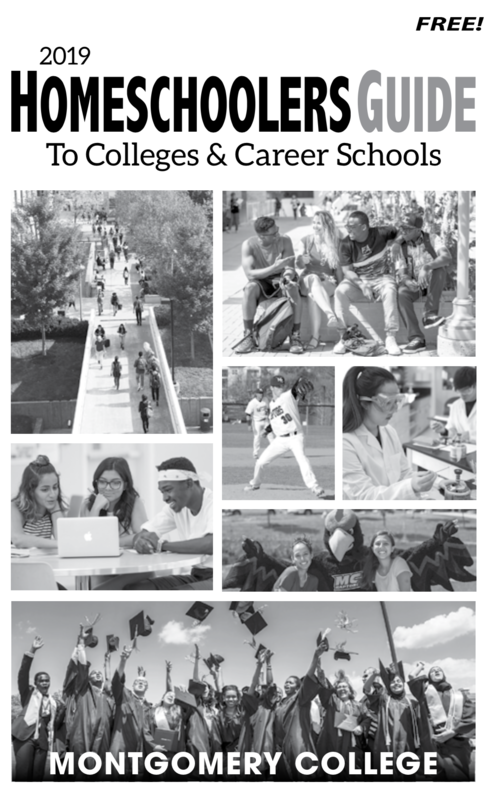 Then the Homeschoolers Guide to Colleges will be an invaluable tool for you! TROY UNIVERSITY, 600 University Avenue, Troy, AL 36082, 334-808-6707, accelerate@troy.edu. Kick off your college career with this customized dual enrollment program that allows you to do your schoolwork once and get credit twice. TROY’S ACCELERATE students enjoy the advantages of earning college credit while still in high school. Since all courses are completed online, this program is flexible enough to fit into any busy schedule and offers a multitude of benefits for students and families. What are your waiting for? ACCELERATE is set apart from other dual enrollment opportunities not only because it’s a virtual learning environment. We take pride in our extensive course list, our unique, fast-paces academic calendar, and the personal attention we provide every ACCELERATE student. The dual enrollment courses available through ACCELERATE are designed to transfer to any college or university. They can be used to satisfy the general education core requirement at the freshman or sophomore level of college. https://www.troy.edu/academics/academic-programs/accelerate-dual-enrollment-highschool-students.html. MIDDLE GEORGIA STATE UNIVERSITY, 100 University Parkway, Macon, GA 31206, 877.238.8664, mga.edu. Middle Georgia State University serves 7,800+ students on campuses in Macon, Cochran, Dublin, Eastman and Warner Robins – and online. Students choose from dozens of areas of study, everything from Accounting, Biology, Education, Health Sciences, Contemporary Musicianship and IT (fully online option) to Flight, Nursing, Criminal Justice, Public Service, Rehabilitation Science and New Media & Communications. The University recently launched master’s degrees and is home to Georgia’s only public 4-year School of Aviation. Also unique to Middle Georgia State is The Georgia Academy, a residential program designed so that academically gifted students can earn high school diplomas from their home high schools and associate degrees from the University simultaneously. The University also offers a traditional Dual Enrollment program for qualified Georgia students who want to earn college credit while completing their high school requirements. These students, who live at home and commute to any of our five campuses, may attend fall, spring and/or summer semesters. Their tuition, mandatory fees and textbooks are covered by the Georgia Student Finance Commission/Dual Enrollment funds. Student housing is available on the Macon, Cochran and Eastman campuses. Middle Georgia State has NAIA-affiliated sports and a wide variety of student clubs and organizations. Learn more: 877.238.8664, www.mga.edu/dual-enrollment. TOCCOA FALLS COLLEGE, 107 Kincaid Dr. MSC 899, Toccoa Falls, GA. 30598, 888-785-5624, admissions@tfc.edu. TFC is a premier Christian College in Northeast Georgia. Each fall, about 10% of TFC’s incoming class consists of students that have been home-schooled. Once on campus, one of the most important priorities of college staff is helping students adjust to college life. TFC is an excellent college choice for home-school students due in part to our small classes and low faculty to student ratio. TFC is committed to helping each student transition smoothly into their college career. www.tfc.edu. CARROLL COMMUNITY COLLEGE, 1601 Washington Road, Westminster MD 21157; 410-386-8000; infocenter@carrollcc.edu Carroll Community College is your affordable introduction to high-quality higher education! Take a single course or a full class schedule to earn your associate degree. Complete the first two years of your bachelor’s degree — Carroll students have transferred to more than 880 different colleges and universities nationwide. Or choose a short-term career training program to enter the workforce job-ready or to prepare for licensure or certification. You can take courses online or at our Westminster campus. To learn more, visit Carroll’s website at https://www.carrollcc.edu. CECIL COLLEGE, One Seahawk Drive, North East, MD 21901. 410-287-1000, admissions@cecil.edu. Founded in 1968 to meet the postsecondary and continuing education needs of Cecil County residents, Cecil College has been serving the community and shaping its future for 50 years. With a diverse student population, Cecil College enrolls 3,000 credit students and more than 3,500 non-credit students annually. Cecil offers associate degrees, certificate programs, and non-credit classes. Classes can be taken in a traditional classroom setting with some being offered online. The College offers a full range of day and evening classes along with a new fully online General Studies degree. The college has formalized articulation agreements with public and private four-year institutions throughout the United States. Cecil College has 2+2 partnerships with Wilmington University and University of Maryland University College. Students can complete a bachelor’s degree in materials engineering from Frostburg State University or a bachelor’s degree in social work from Salisbury University without leaving Cecil County. Students can also opt to take non-credit courses to upgrade their job skills or expand their horizons. Certifications are available for various healthcare careers. For more information, visit www.cecil.edu or call 410-287-1000. MONTGOMERY COLLEGE, 51 Mannakee Street, Rockville, MD 20850, 240-567-5000, response@montgomerycollege.edu, Career success starts at Montgomery College. MC helps you get the hands-on education you need for the job you want. And you can save up to half the cost of attending other colleges. Montgomery College offers more than 130 programs across three campus locations in Maryland (Rockville, Germantown, and Takoma Park/Silver Spring). You can also take classes online. Our dedicated faculty members will help you reach your goals, whatever they might be. MC has seamless transfer pathways to over 100 schools and institutions. We make it easy to transfer to top universities across the country. At Montgomery College, you’re guided, supported, and empowered to set your course and succeed. montgomerycollege.edu. ST. MARY’S COLLEGE OF MARYLAND, 47645 College Dr, St. Mary’s City, MD 20686, 240-895 2045 admissions@smcm.edu. As The National Public Honors College, St. Mary’s College offers an undergraduate liberal arts education and small-college experience like those found at exceptional private colleges. St. Mary’s College shares the hallmarks of private institutions: an outstanding faculty, talented students, high academic standards, a challenging curriculum, small classes, a sense of community, and a spirit of intellectual inquiry. But as a state institution of higher education, St. Mary’s College is also committed to the ideals of affordability, accessibility and diversity. By combining these virtues of public and private education, St. Mary’s College provides a unique alternative for students and their families. www.smcm.edu. BARD COLLEGE AT SIMON’S ROCK, 84 Alford Road, Great Barrington, MA 01230, 1-800-235-7186 or 413-528-7228, admit@simons-rock.edu. Age doesn’t define intellect. At Bard College at Simon’s Rock and Bard Academy, young scholars take on meaningful, serious academic challenges. As a Simon’s Rock student, you’re joining a community of 450 people your own age who share your passion for ideas, politics, science, arts, and culture. With students from around the world and a variety of educational backgrounds, you’ll encounter kindred spirits here, united around a love of learning. Bard College at Simon’s Rock is the country’s only residential college of the liberal arts and sciences specifically designed to provide highly motivated students with the opportunity to begin college after the 10th or 11th grade. Bard Academy at Simon’s Rock is the nation’s only two-year high school that provides guaranteed admission to early college. simons-rock.edu. MIDDLESEX COMMUNITY COLLEGE, Bedford Campus: 591 Springs Rd, Bedford, MA 01730; Lowell Campus: 33 Kearney Square, Lowell, MA 01852; 1-800-818-3434. Middlesex Community College’s Dual Enrollment Academy welcomes homeschoolers! Established in 2011, our Dual Enrollment Academy allows qualified home-schooled students to earn college credit while satisfying high school graduation requirements. Students may enroll in college-level courses offered online, or during the day or evening on MCC’s Bedford and Lowell campuses. Currently, more than 500 high school and home-schooled students are enrolled in a wide variety of Middlesex courses each semester. Dual Enrollment Academy students can earn anywhere from 3 credits to a full associate degree. For more information, call 781-280-3790 or visit: https://www.middlesex.mass.edu/dualenroll/. CALVIN COLLEGE, 3201 Burton SE, Grand Rapids, Michigan, 49546, (616) 526-6000, 1-800-688-0122, admissions@calvin.edu. Calvin College is ranked #1 by U.S. News & World Report among Midwest Regional Colleges. Located in Grand Rapids, Michigan, Calvin prepares students to be Christ’s agents of renewal in the world. Through rigorous academic study and intentional Christian community, you will learn to think deeply, act justly, and live wholeheartedly in everything that you do. A Calvin education will form your heart and mind in ways that prepare you for your future. Research, expansive global opportunities, and hands-on experiences contribute to the success of Calvin alumni in careers and graduate study. In all of these things, Calvin’s excellent Christian faculty will walk alongside you to ensure that you find God’s path for you in the world. Explore the story God is writing through Calvin students and faculty at https://calvin.edu/academics/. GRACE CHRISTIAN UNIVERSITY, 1011 Aldon St. SW, Wyoming, MI 49509, (800) 9681887, graceadmissions@gracechristian.edu. Any college will help to prepare you for a career, but not every college will prepare you for the rest of your life. That is one of the many things that sets Grace Christian University apart. We are committed to building lives that are lived on purpose – lives rooted in Jesus Christ and committed to serving others. Our small class sizes, experienced faculty, and commitment to transformational relationships provide our students with a very personal and invested experience as they pursue their purpose. Join us by applying online for free. https://www.gracechristian.edu/. CROWN COLLEGE, 8700 College View Drive, Saint Bonifacius, Minnesota 55375, (952) 446-4100, admissions@crown.edu. Located just 30 minutes west of Minneapolis on a beautiful 215-acre campus, Crown College is a fully accredited Christian college with over 1,500 students, 18 NCAA-Division III athletic teams, and an exceptional faculty recognized by our students for excellence in teaching, mentoring, and assistance with professional networking. Offering on-campus, online, and graduate degree programs, Crown is consistently ranked among the “Best Midwest Regional Colleges” by US News & World Report and was recognized by MONEY Magazine in its list of “The 50 Colleges That Add the Most Value”. Students at Crown College benefit from low student/faculty ratios, internships and global connections through study abroad and service opportunities. www.crown.edu. MOLLOY COLLEGE, 1000 Hempstead Avenue, P.O. Box 5002, Rockville Centre, New York 11571-50021-888-4-MOLLOY, info@molloy.edu. College-bound students and their parents are always looking for an academic environment that offers the best fit for the student and the best value for their tuition dollars. Molloy has been ranked in the top three nationally in Money magazine’s “best values” listing for two consecutive years, the only college in the country to earn such an honor. The rankings were based on a variety of factors, including graduation rates and earnings of graduates. This category was designed to “determine which schools actually add the most value,” according to the magazine. Molloy has also earned other honors, including being ranked the #10 best value among Catholic colleges nationwide by College Values Online. Visit molloy.edu to learn more. VILLA MARIA COLLEGE, 240 Pine Ridge Road, Buffalo, NY 14225, 716-896-0700, admissions@villa.edu. Founded in 1961, Villa Maria College is the premier student-centered college in WNY. Offering a broad core curriculum, Villa empowers students to realize their intellectual, professional, creative and spiritual potential. Inspired by Catholic and Franciscan tradition, Villa fosters compassion, justice, peace, respect for human dignity and a commitment to service. Student-athletes have the opportunity to compete in inter-collegiate sports. We’re currently recruiting for our growing basketball, soccer, cross country, and bowling teams. The Villa faculty bring their real-world experience into the classroom, and are dedicated to developing well- rounded, creative, critical thinkers, with the passion and practical skills needed to get a career in the job market. With a variety of academic programs to choose from, our real strength lies in our studio-based education, an 8:1 student to faculty ratio, and a college-wide commitment to student success. Our curriculum meets students where they are and provides them with the support and tools to succeed while they are enrolled, and the skills needed after graduation. villa.edu. FAYETTEVILLE TECHNICAL COMMUNITY COLLEGE, 2201 Hull Road, Fayetteville, NC 2830, (910) 678-8400, admissions@faytechcc.edu. Fayetteville Technical Community College is the smart choice for education, with over 250 academic programs to choose from leading to the award of associate degree, certificate, or diploma. In addition, students can also select from a broad range of non-credit Corporate & Continuing Education classes to pursue a hobby or new skill. High school students can participate in the High School Connections program at FTCC and take college-level courses to earn college credits tuition free. Students should also inquire about FTCC’s C-STEP program where qualifying students can transfer from FTCC to UNC-Chapel Hill. High-quality education at an affordable cost—the SMART choice for education–FTCC! www.faytechcc.edu. HAYWOOD COMMUNITY COLLEGE, 185 Freedlander Drive, Clyde, NC 28721, 828-627-2821, hcc-advising@haywood.edu. Haywood Community College offers over 31 curricular areas, 80 unique programs of study, and currently serves over 2,200 students in these programs. Just over 3,600 more students attend classes through its continuing education division. Located in the mountains of Western North Carolina, the College’s beautiful campus is a designated arboretum. Small class sizes mean students receive one-on-one attention. At HCC, students don’t just sit in the classroom. Programs are hands-on where students apply what they learn. With financial aid, scholarships available and low-cost tuition, HCC is affordable. The reputation of both of the College’s flagship programs of professional crafts and natural resources draw students from the state and region. At HCC, we know college should be fun. We encourage students to get involved with student clubs where they can focus on program specific skills or donate time to community service. As an example, the College’s Timbersports team competes at the national level and consistently outperform peers from both two- and four-year schools. As a result, the College has celebrated several STIHL Intercollegiate Timbersport champions. www.haywood.edu. LOURDES UNIVERSITY, 6832 Convent Boulevard, Sylvania, OH 43560, 800-878-3210, ext. 5291, luadmits@lourdes.edu. A Catholic university in the Franciscan tradition, Lourdes University proudly delivers a vibrant, diverse, student-centered education. Guided by the vision and ministry of the Sisters of St. Francis of Sylvania, Ohio, Lourdes provides a living and learning environment based on values and focused on creating a better world. As a University grounded in the liberal arts, with application to professional studies, Lourdes University prepares our graduates to be leaders of high integrity in their professions and communities. Lourdes alumni seek to heal those who suffer, teach those who search for knowledge and provide innovative leadership in business and non-profit sectors. Our alumni are global citizens working diligently to be a positive, creative force in their communities and the world. www.lourdes.edu. MOUNT VERNON NAZARENE UNIVERSITY, 800 Martinsburg Road, Mount Vernon, OH 43050, 866-462-MVNU, admissions@mvnu.edu. Sitting on 327 acres of rolling hills, MVNU’s peaceful grounds provide a safe atmosphere for students to learn, have fun and grow. Located 45 minutes from Columbus, Mount Vernon is filled with historical homes, parks, coffee shops, and more. We believe that faith drives us to action, so we’re structured to give you multiple spiritual opportunities. Our hope is that students will make their faith their own. No matter where you are starting from, your faith will be strengthened through academics, service experiences, and ministry opportunities. You are here on this earth for a reason. We’re here to help you SHINE. www.mvnu.edu. COMMUNITY COLLEGE OF ALLEGHENY COUNTY, 800 Allegheny Avenue, Pittsburgh, PA 15233, 412-237-3100, admissions@ccac.edu. CCAC provides homeschooled students with a personalized learning experience, affordable tuition and nearly 160 programs of study. As an open enrollment institution, CCAC does not require entrance examinations—and there is no fee to apply. CCAC’s Dual Enrollment program offers homeschooled students the opportunity to take college courses on campus or online. Dual Enrollment credits can be used to earn a CCAC certificate or degree, or students can transfer them to a four-year institution. CCAC offers hundreds of online courses. More than a dozen degrees and 11 certificates can be completed online, and more than three dozen additional programs can be completely almost entirely online. In-person and online tutoring services are also available. And CCAC students have transferred credits to more than 500 four-year institutions. ccac.edu. HARCUM COLLEGE, 750 Montgomery Avenue, Bryn Mawr, PA 19010, 610-526-6050, enroll@harcum.edu. Harcum College is an associate degree-granting, residential, co-ed college in Bryn Mawr, Pennsylvania. It was founded in 1915 and was the first college in Pennsylvania authorized to grant associate degrees. It has over 20 majors; both full-time and part-time options; day, evening, and online classes; and continuing education courses. Harcum College provides its students with an opportunity for outstanding academic, career, and life preparation. We teach, mentor, and prepare students for success in their chosen profession in an experiential environment. Harcum’s core values of excellence, civility, empowerment, integrity, community service, and respect for diversity assure that every student is valued and supported. www.harcum.edu. MESSIAH COLLEGE, 1 College Avenue, Mechanicsburg, PA 17055, 800-233-4220, 717-691-6000, admissions@messiah.edu. Messiah College is a nationally ranked, private Christian college with a student body of 3,375 undergraduate and graduate students. Located in Mechanicsburg, Pennsylvania, the campus is just 12 miles from the state capital, Harrisburg. Messiah College is nationally recognized for bringing together top-tier academics and Christian faith. Our motto, “Christ Preeminent,” shapes every experience you’ll have as a student here. Lifelong friendships. Support from faculty mentors. Outstanding preparation for life and career. Championship athletics. Celebrated arts programs. Transformational service and ministry. Eye-opening study abroad. At Messiah your life, your faith, your world and your possibilities open up. www.messiah.edu. MONTGOMERY COUNTY COMMUNITY COLLEGE, 340 Dekalb Pike, Blue Bell, PA 19422, (215) 641-6551, admissions@mc3.edu. Propel your potential at Montgomery County Community College and earn college credits before graduating high school! With over 100 programs, you will be able to get a jump start on your college degree while enjoying the convenience of classes offered days, nights, weekends, online—and at our locations in Blue Bell and Pottstown. Save up to $25,000 by earning your associate degree with us and seamlessly transferring to one of our 34 four-year partner schools to complete your degree. For more information and to apply, visit mc3.edu/de today! mc3.edu/de. MOUNT ALOYSIUS COLLEGE, 7373 Admiral Peary Highway, Cresson, PA 16630-1999, 888-823-2220, 814-886-4131. The mission of Mount Aloysius College is to respond to individual and community needs with quality programs of education in the tradition of the Religious Sisters of Mercy. Each student is provided the opportunity to acquire knowledge and to develop values, attitudes, and competencies necessary for life-long learning within an environment that reflects a liberal arts orientation and a Catholic, Judeo-Christian heritage. Mount Aloysius College is an accredited, comprehensive, degree-granting institution offering Associate, Baccalaureate, and select Graduate Programs where women and men of diverse cultural, educational, and religious backgrounds optimize their aptitudes and acquire skills for meaningful careers. Mount Aloysius graduates are job ready, technology ready, and community ready. www.mtaloy.edu. PENN STATE SCRANTON, 120 Ridge View Drive, Dunmore, PA 18512, 570-963-2500, wsadmissions@psu.edu. Located in the heart of northeast Pennsylvania, just outside the City of Scranton, and easily accessible from Interstates 81, 380 and 84, Penn State Scranton offers a warm and friendly close-knit campus that combines the quality of Penn State academics with the personal attention a smaller campus community can provide. Our small class sizes allow for more one-on-one, personal interaction with faculty and mentors, as well as opportunities for faculty-student research. There are over 20 active student clubs/organizations at the campus and a variety of intramural and intercollegiate sports for students to participate in. A more affordable option, especially for students who reside within the campus’ service area and will be commuting to school, Penn State Scranton offers 12 bachelor’s degrees, four associate degrees and the first two years of over 275 Penn State degrees (the 2+2 option). Privately-owned student housing is available across the street from the campus, for those students living away from home while they attend college. In addition, students at Penn State Scranton have access to all of the resources of Penn State University, along with the name recognition and prestige of a world class research institution. Students graduating from any Penn State campus, regardless of which campus they started at, or finished at, receive a Penn State degree – recognized worldwide! scranton.psu.edu. UNIVERSITY OF PITTSBURGH AT GREENSBURG, 150 Finoli Drive, Greensburg, PA 15601, 724-836-9880, upgadmit@pitt.edu. The University of Pittsburgh at Greensburg is a regional campus in the University of Pittsburgh system. Our close-knit academic environment provides access to the academic, social, and athletic resources of a major university while providing individualized academic attention. It’s an environment in which homeschooled students excel. Pitt-Greensburg offers 29 degree programs and 19 minors taught by world-renowned faculty. Our partnership with the Pitt School of Nursing brings its internationally recognized Bachelor of Science in nursing (BSN) program to our campus. Nearly 1,800 students are enrolled here, with 650 students living on campus in suite-style or apartment-style residence facilities. About 75 percent of the students at Pitt-Greensburg receive financial assistance. Apply early to be considered for academic scholarships. www.greensburg.pitt.edu. WAYNESBURG UNIVERSITY, 51 W College Street, Waynesburg, PA 15370, (724) 852-3248, admissions@waynesburg.edu. Waynesburg University, a private Christian university in southwestern Pennsylvania, provides a valuable, personal and hands-on educational experience that prepares undergraduate and graduate students for lives of purpose. Waynesburg offers more than 70 major concentrations and five integrated bachelors-to-masters programs in athletic training, business, counseling, criminal investigation and education. The University also offers graduate programs in counseling, criminal investigation, business, education and nursing. 100 percent online programs are available. Consistently ranked as a top school within these systems, Waynesburg has emerged as a national leader in educational value. Most recently, Waynesburg University was named to MONEY Magazine’s 2017-2018 “Best Colleges for Your Money” list, ranking in the top 7 percent of all colleges and universities considered nationwide. www.waynesburg.edu. NORTH GREENVILLE UNIVERSITY, P.O. Box 1892, Tigerville, SC 29688, 864-977-7001, admissions@ngu.edu. North Greenville University is a private liberal arts institution affiliated with the South Carolina Baptist Convention and recognized as one of the most notable conservative Christian universities in the Southeast and even the nation. NGU features more than 50 undergraduate, online undergraduate, and graduate degree options, and students can complete their coursework at NGU’s main campus in Tigerville, S.C.; its sister campus in Greer, S.C.; or completely online. North Greenville University exists to glorify God by cultivating graduates who are equipped to serve as transformational leaders for church and society. Affiliated with and committed to the South Carolina Baptist Convention, North Greenville University is a co-educational liberal arts institution that provides opportunities for higher education in a Christian atmosphere. The university strives to prepare students to become better, contributing members of society by educating the whole person through an integration of academic discipline, a Christian lifestyle, and an enriched cultural experience while offering students the best opportunities for spiritual growth, academic training, and Christian service. Christ must be the center of the campus for the purpose of Christian education and Christian character-building. North Greenville University offers a quality education in a biblically sound, Christ-centered environment. www.ngu.edu. VERMONT TECHNICAL COLLEGE, PO Box 500, Randolph Center, VT 05061, (800) 442-8821, admissions@vtc.edu. The Vermont Academy of Science and Technology (VAST) is part of Vermont Technical College, a leading public college with a mission of applied education and student-centeredness. VAST is an independent, accredited high school exclusively for high school seniors. Students in the VAST program receive a high school diploma and complete a year of college at the same time. Vermont Tech serves students from throughout Vermont, New England, and beyond at its residential campuses in Williston and Randolph Center, regional campuses in Brattleboro and Bennington, and at six nursing sites located throughout the state. Vermont Tech features state-of-the-art laboratory experience and a highly personalized classroom and student-life experience. All of our programs utilize a technological educational component, from the simulators used by our nursing program around the state, to manufacturing laboratories in Randolph Center and Williston. Our academic programs encompass a wide range of engineering technology, agricultural, health, and business fields that are vital to producing the knowledgeable workers needed most by employers in the state and in the region. www.vtc.edu/vast. SWEET BRIAR COLLEGE, Office of Admissions, P.O. Box 1052, Sweet Briar, VA 24595, 434-381-6142 or 800-381-6142, admissions@sbc.edu. Sweet Briar College is a private, liberal arts college for women. The college is committed to educating women of consequence who go out into the world and make a difference. One of just two women’s colleges in the country with an ABET-accredited engineering program, Sweet Briar offers undergraduate programs in the arts, humanities, sciences and social sciences, as well as a Master of Arts in Teaching, and a core curriculum focused on leadership in the 21st century. Collaborations with the Virginia Center for the Creative Arts and Google open exciting opportunities in the arts and computer programming. sbc.edu/admissions. THE BATTEN HONORS COLLEGE, Virginia Wesleyan University, 5817 Wesleyan Drive, Virginia Beach, VA 23455, 757-455-3208, enrollment@vwu.edu. The Batten Honors College of Virginia Wesleyan University, located in Virginia Beach, Virginia, explores diverse disciplines from the humanities, social sciences, mathematics, and natural sciences through an interdisciplinary and thematic curriculum that educates and graduates lifelong learners interested in shaping the future and taking action to improve the world. Student experiences range from small, seminar-style courses to a faculty-led immersive global experience. They develop analytical, leadership, collaboration and communication skills through Honors courses and participate in study away, research, internship, and service experiences. Each year, 20 Batten Fellows are awarded full-tuition and 20 Shumadine Scholars receive two-thirds tuition. Additional need-based financial aid is also available. www.vwu.edu/batten. DAVIS & ELKINS COLLEGE, 100 Campus Drive, Elkins, W.Va. 26241, 304-637-1900, admission@dewv.edu. Davis & Elkins proudly claims its heritage as a Presbyterian Church (U.S.A.)-related college, embracing the broad diversity of our student body, and providing the space and climate where spiritual needs and views of students of different faiths can be nurtured and shared in both discussion and service. A private college of liberal arts and professional studies, Davis & Elkins values curiosity and thoughtfulness, while fostering social, emotional, spiritual and physical well-being. Toward those ends, the College provides a friendly and supportive environment for curious, engaged and freethinking students of diverse backgrounds. Safe and supportive, stimulating and friendly, Davis & Elkins College encourages students to approach their adventure in education as a journey of self-discovery. For more information, please visit our website at www.dewv.edu.